Hey there! 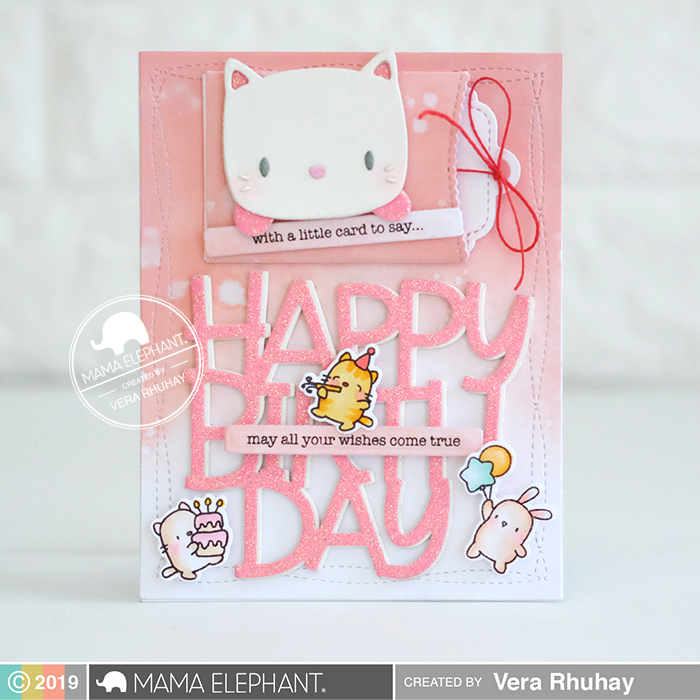 Vera here with a birthday card with fun mini slider tag featuring the Birthday Messages stamp set and Sweet Feline Creative Cuts. 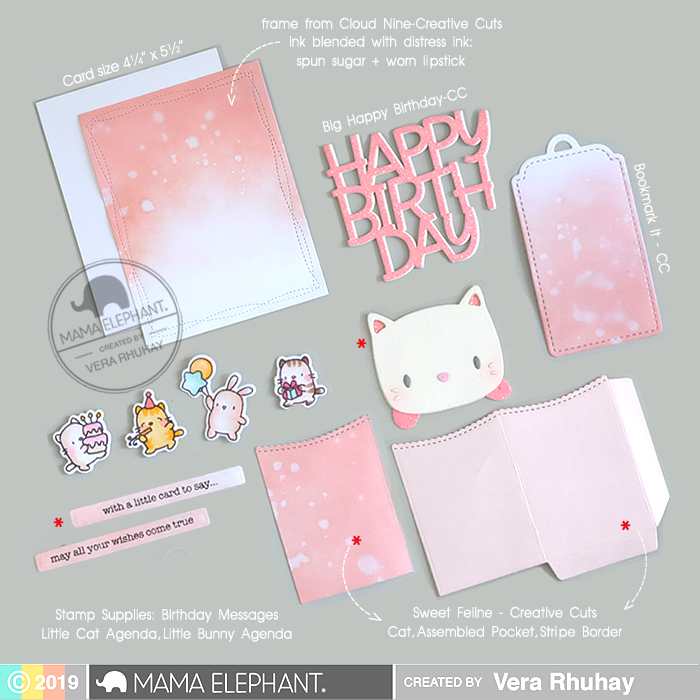 I started by stamping the images from Little Cat Agenda and Little Bunny Agenda with Memento Ink on Bristol paper and coloring with Copics. 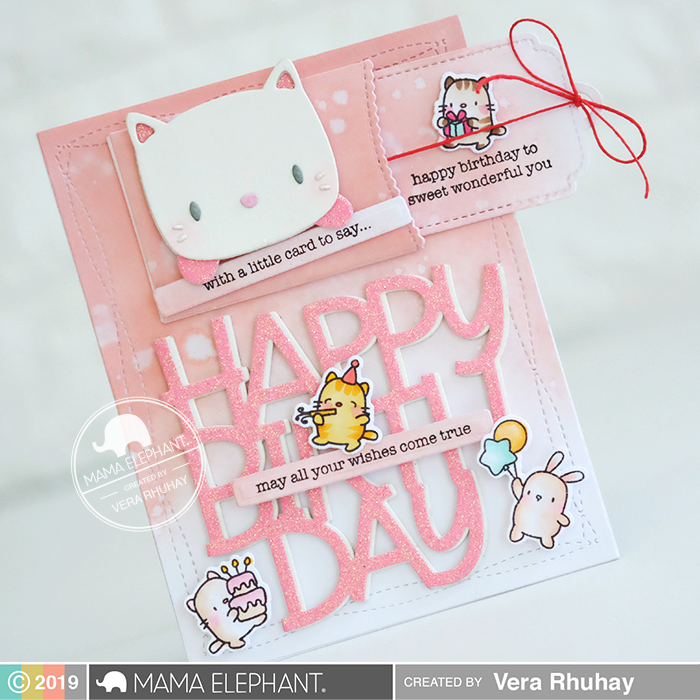 Cut them out with Little Cat Agenda Creative Cuts and Little Bunny Agenda Creative Cuts. Next, I prepared all supplies as shown in the picture below. 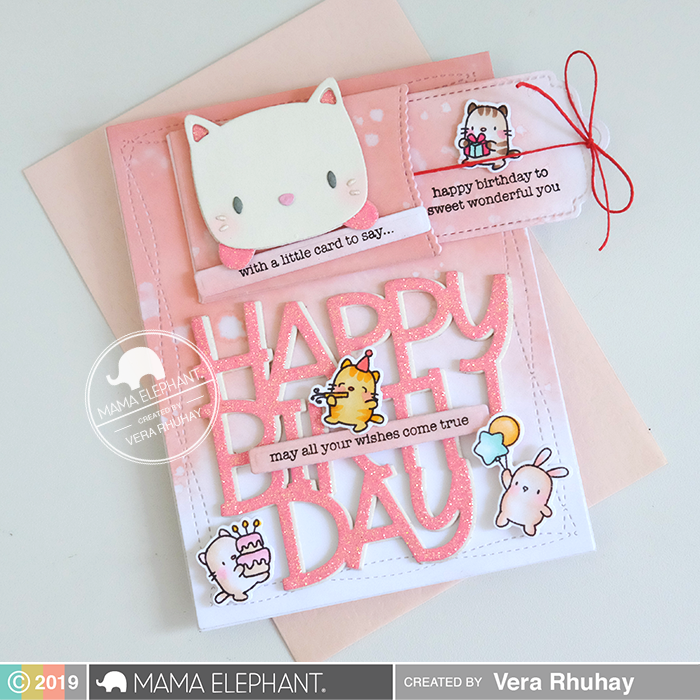 Using assembled pocket die cut, I created a mini slider tag followed on Jennifer McGuire tutorial (you can check out at here). 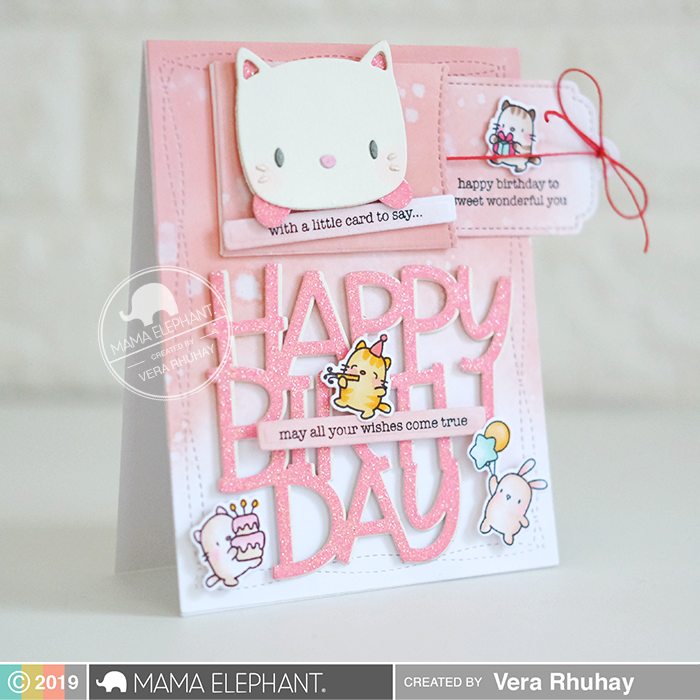 I stamped the sentiment from the Birthday Messages on stripe border die cut and the other I stamped on the tag. Here is the finished card. I hope you enjoyed my project. Thanks so much for stopping by!